Caffeine is a central nervous system stimulant, having the effect of temporary restoring alertness and increasing concentration. It also increases the capacity for physical labor, the endurance, and even the brain activity. The precise amount of caffeine necessary to produce the desired effect varies from person to person and in moderate quantities has positive effects on our everyday life. Not surprisingly, caffeine is abundant in chess competitions. The 7 hours exhausting classical games or the blitz concentration-requiring tournaments make caffeine the perfect legal doping for chess players. There are several sources of caffeine that the Chessdom team has detected at tournament events. There are two major choices among the chess players – the Schwarz coffee (300ml+ cups) or the Espresso coffee (30-50ml cups). The first type brings you about 150mg of caffeine, but takes more time to consume. The second contains 40 to 80mg of caffeine, but is concentrated and has faster effect. 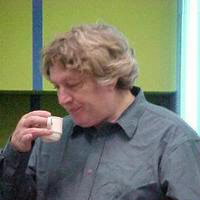 Coffee is the preferred drink of Veselin Topalov, Boris Gefland, Sipke Ernst, Jan Timann, Judith Polgar, etc. The coke can be any type – Coca Cola, Pepsi Cola, etc. Basically, all of them provide the same quantity of caffeine which is about 100mg per liter. It seems suitable for longer events since the caffeine effect is redistribute equally in time. Among the biggest fans of Coke are Vladimir Kramnik, Teimour Radjabov, Ivan Cheparinov, Antoaneta Stefanova, Jan Smeets. Chocolate is an important brain activity stimulant. It contains moderate to low quantities of caffeine (25mg per 200g of chocolate). Besides that, it is a source of carbohydrates which are easy and fast to process by the body and supply the brain with additional energy. Many players have been seen consuming chocolate based food during tournaments. However, we cannot list a regular fan of this source of energy. These are weaker sources of caffeine, generally providing 30mg per 240ml. They are not used as stimulants, but rather for their taste. In any case they help and increase every chess players’s performance. A fan of those type of drinks is Aronian. Red Bull and similar energy drinks provide a strong doses of caffeine and are very suitable for short time controls. With their 100mg per 250ml, the energy drinks give you a momentary boost of brain activity. There are not many fans of this type of drinks among the chess players, but it is believed Red Bull will enter more and more in the blitz and rapid events.